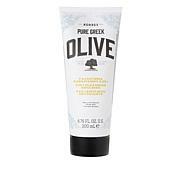 There's no need to fear the dark with this black pine facial cleanser bar. Made with dense sea mud that helps give it a black base color, the refreshing formula offers superior makeup removal without stripping your skin. Embrace the dark side of beauty. Ingredients: Sodium Palmate, Sodium Palm Kernelate, Aqua/Water/Eau, Parfum/Fragrance, Glycerin, Maris Limus/Sea Silt Extract/Extrait De Limon Marin, Pinus Nigra Bud/Needle Extract, Palm Acid, Sodium Chloride, Palm Kernel Acid, Tetrasodium Etidronate, Silica, Phenoxyethanol, CI 77499/Iron Oxides. Korres Black Pine Mineral facial cleansing. 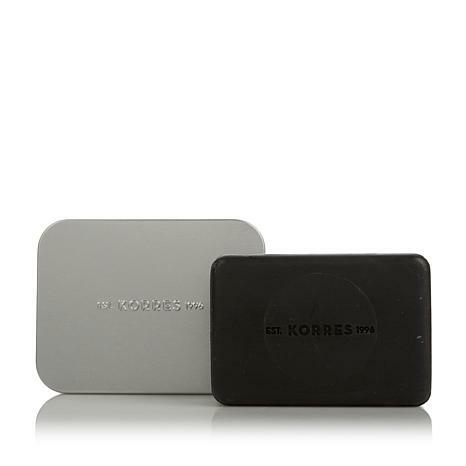 Korres Black Pine Mineral facial cleansing bar. Great cleansing bar.Simply cleansing . 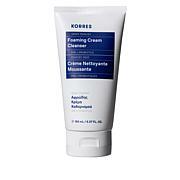 I love Korres, as much for what's not in it & everyting that is in it. The bar makes my skin feel so smooth. I do not know the long term benefits because I just started using it. I am expecting to see even more positive results.